At a briefing for analysts in London last week, fixed-line network provider Colt set out a dedicated and focussed strategy to offer high-bandwidth services targeted exclusively at the enterprise market. 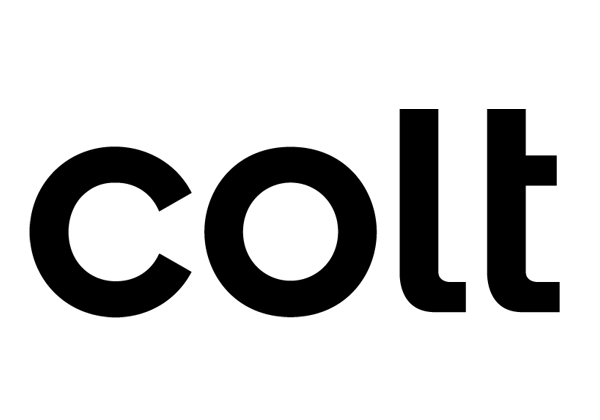 The message from CEO Carl Grivner was that Colt is no longer trying to compete directly with large incumbents, which he criticised for "chasing fool's gold" in their efforts to offer a range of multiplay, content and mobile services. He believes a leaner and more-flexible strategy without such distractions will make better use of Colt's strong fibre broadband assets. Its networks are present in many leading European business cities and in some bandwidth-hungry Asian markets like Japan, Hong Kong and Singapore. Mr Grivner also argued that Colt's rivals will struggle to reap success by going it alone in new areas like cloud, hosting and IT, cautioning that such an approach requires complex upgrades to billing systems and new business models. Instead, Colt will complement its fibre investment by leaning heavily on partnerships; for example its cloud strategy is built on relationships with Amazon Web Services and Microsoft Azure. The company, which is only a month shy of its 25th birthday, recently announced it will invest €500 million over three years to expand its existing Colt IQ network comprising 24,500 buildings and 700 data centres. The move could lead to heightened competition for the enterprise arms of the likes of BT, Orange and Deutsche Telekom, which are less nimble and typically slower to respond to changes in the market. Indeed, each operator reported largely downbeat financial results for the fourth quarter of 2016, with BT notable for its bleak assessment of the opportunity in the UK public sector. The effort will be funded by Colt's long-term shareholder Fidelity Investments, which took the former FTSE 250 constituent private in August 2015. At the start of 2017, Colt said it would double its sales force, focus on new channels, bolster marketing and seek to expand its limited presence in the US. Colt is turning its attention to high-bandwidth services, the one area of an otherwise stagnant and insipid fixed-line sector to be showing encouraging growth. According to chief technology officer Rajiv Datta, the market for 10 Gbps Ethernet services will rise at a compound annual growth rate of 18 percent in 2015 to 2020. For 100 Gbps services, this rate jumps to an impressive 73 percent, and Mr Datta projected that they could overtake 10 Mbps services based on total market value during 2017. Offering high-bandwidth services also presents Colt with greater opportunity to differentiate. An important focal point for the company in 2017 will be to offer software-defined networking to give customers greater flexibility to fine-tune their telecom needs. For example, through a dedicated on-demand portal customers can "turn up or down" bandwidth in response to changing requirements. Mr Grivner believes the online aspect is particularly important as a new wave of decision makers "do not wish to talk and prefer as little intervention as possible". Another important message that Colt emphasised was its dedication to customer service. The company ought to be strong in this area, given that it doesn't have the broad focus of many of its rivals. Its aspirations are commendable, and in particular its goal to slash total lead times, from quote to delivery, from an average of 67 days currently to just 30 days. Mr Grivner claimed that Colt is "best in breed" among operators for customer delivery, as evidenced by its impressive net promoter scores, but admitted there's still room for improvement owing to the poor overall reputation among telecom operators in this area. Colt clearly senses an opportunity to return to its roots as a market disruptor. It will hope that new investment into a high-growth sector, an assertive pricing strategy and fresh marketing campaigns to reinvigorate the brand will give it the edge over slower-moving and potentially distracted rivals.